Of Greek / Roman mythology? P'ter, semantre, and jube: No. 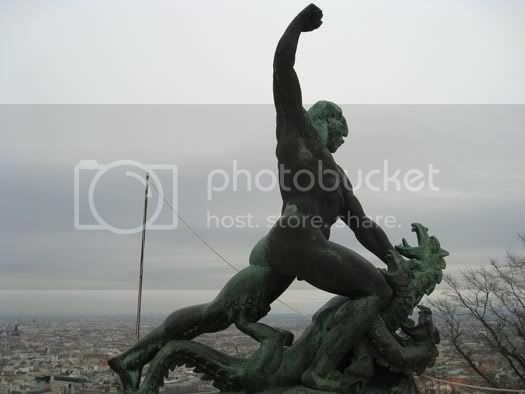 Sure looks like Heracles killing Kerebus/Ladon to me. Again, no to all. And I suppose the statue could be modeled on the Greek style, but it's not. I double checked. Is it from the Norse Gods? By the way, my German vocabularly just reached 22. I think....haven't tried to count the words in a bit. Hmmm... is it in a Slavic country? Your count's higher than my count then. Let's start this more or less alphabetically ... Austria? Lol, now that's an interesting coincidence, jube. And yes.